​Cardiff midfielder Harry Arter has revealed he wants to make his loan move permanent at the end of the season. The Republic of Ireland international is on a season-long loan from Bournemouth and has been a regular fixture in the Bluebirds' midfield under manager Neil Warnock. Arter has featured in ten matches for Cardiff this season as the club sit in 19th, one point away from safety. The 28-year-old had been on the books with ​Bournemouth since 2010, playing for the south coast club in League 1, the Championship and the Premier League. However, it appears he has his heart set on a move to Wales. 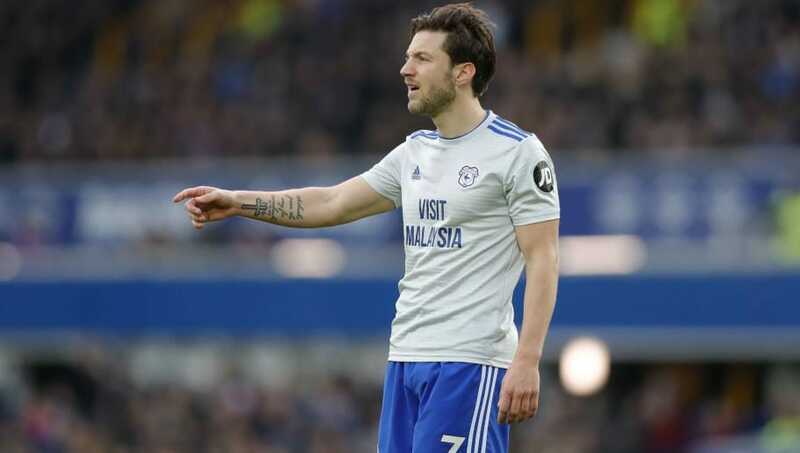 "I've said to my family already the dream season would be Cardiff to stay up, the manager to stay on and then hopefully I can sign because I've loved every minute of being here," ​Arter told ​Sky Sports. "Have I told the manager? No, I think he can tell." "Fingers crossed, it stays this good for me and we can sit down after the 38th game with us having stayed up and looking to stay here permanently." Arter has been one of ​Cardiff's standout performers in the league this season as they've seen a recent upturn in fortunes. They've won two of their last five matches, having won none of their first eight, and they no longer prop up the rest of the table. A decent run of results in the future will give Arter's dream the best chance of coming true in the future.